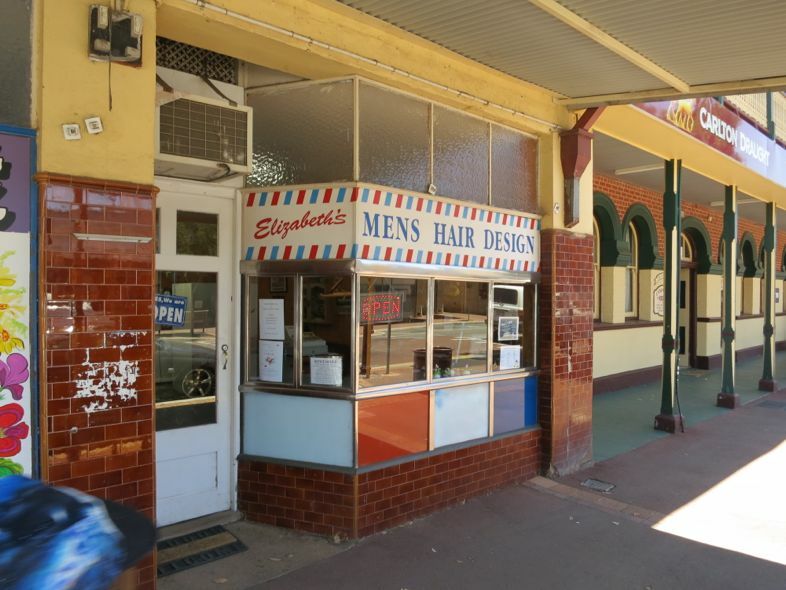 Sometimes shopfronts are persevered in small towns due to a lack of re-development. 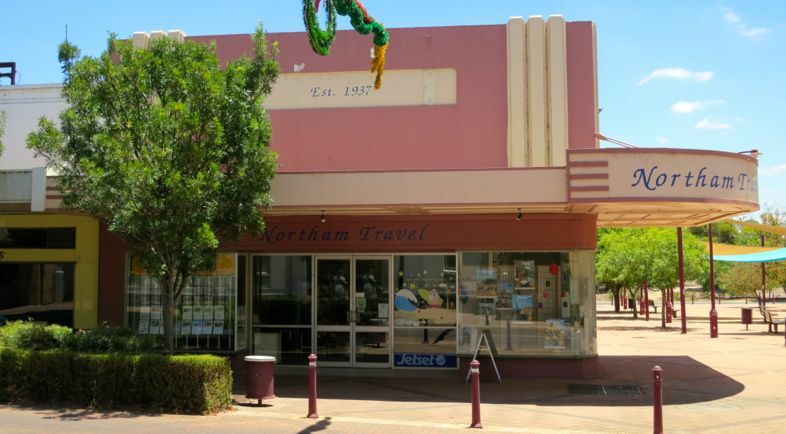 This is Northam, Australia, and its main street: Fitzgerald Street. Fine signage. Nice door. Stallrisers. Excellent lettering. For sale. 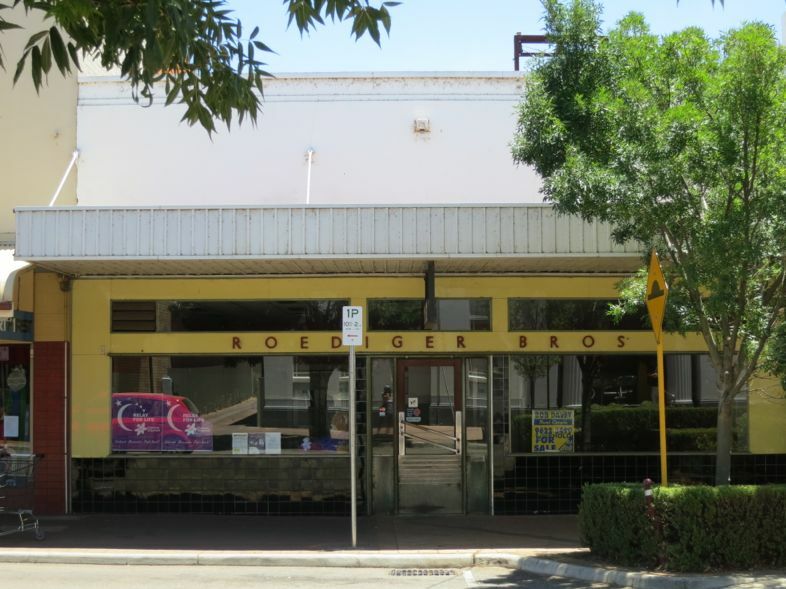 Ex-Roediger Bros. 182 Fitzgerald Street. Would make a great residence (for me). I would keep the lettering. Transom windows are different (the bumpy panels above the signage). Shiny and skinny mullions (the rods in between the window panels). Recessed door with funny windows. 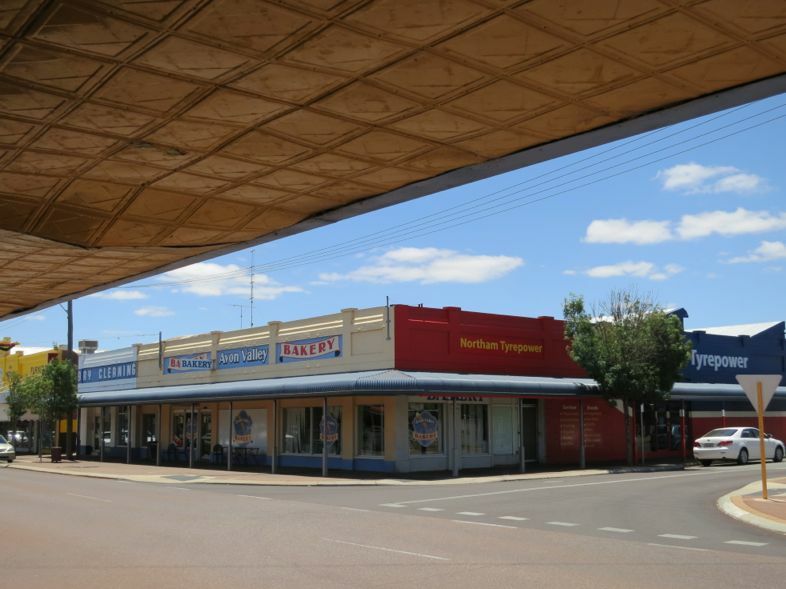 When we think of good residential property, decorative features such as pressed tin ceilings are synonymous with value. 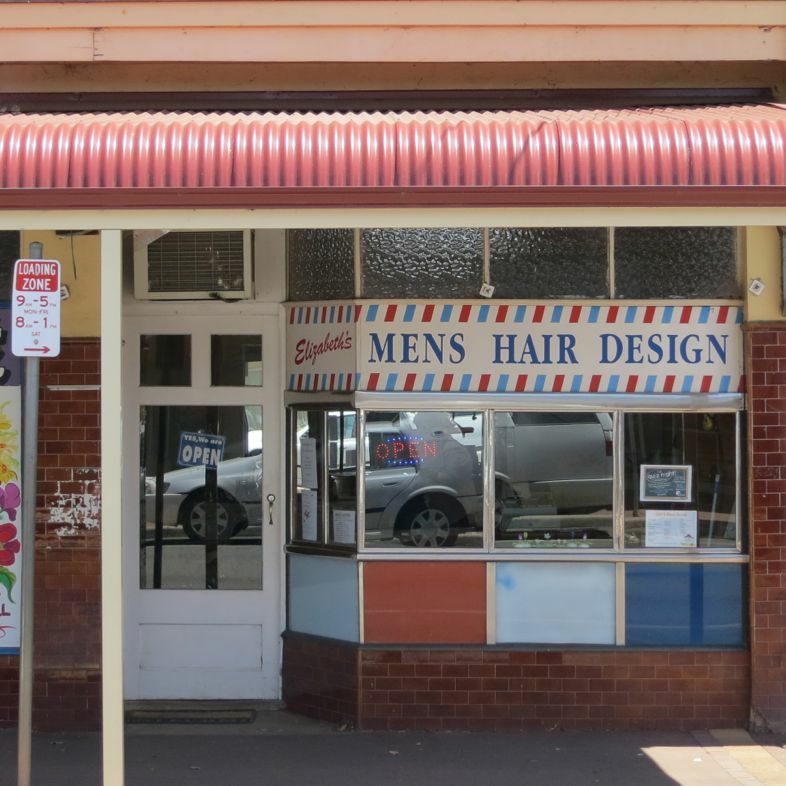 Above and below: Deeply recessed shopfront. Goods face the customer as they walk down the street. Weather protection. Very cool and very rare. 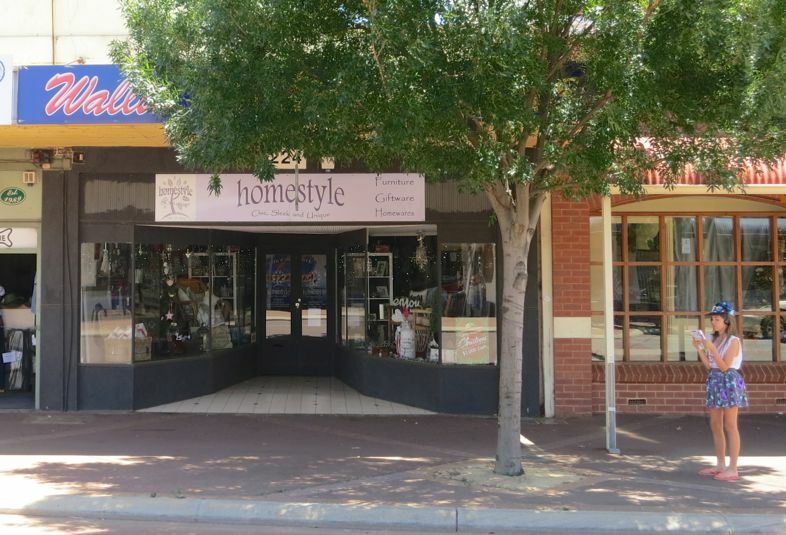 Keep your varied shopfronts in the mainstreet or if you’re building a new mainstreet require a variety of shopfront shapes and sizes. 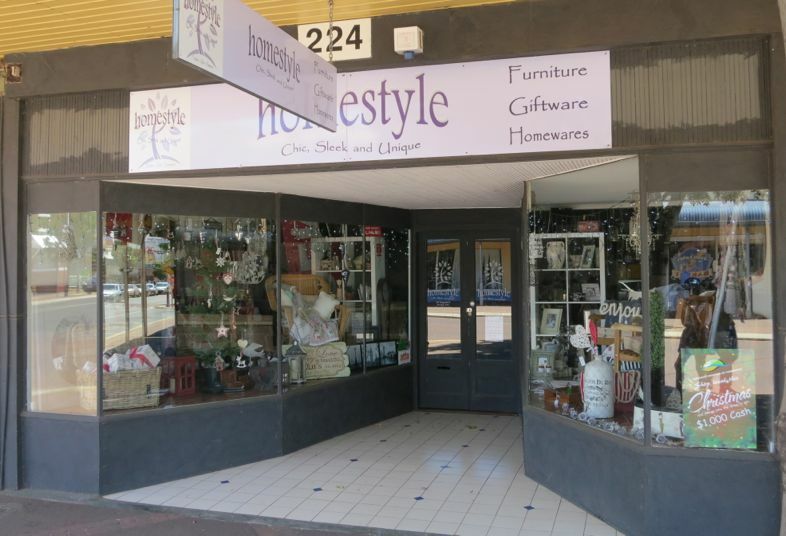 Homestyle Chic, 224 Fitzgerald Street. Above and below: Colour – but light colour. Big windows. Panelled window at corner. Recessed entry. Thin mullions, except door.